A stylish yet practical table for pavement cafes, visitor centres and bistros. Fold away when not in use and set up easily for customers. Great for dining or just relaxing drinks. 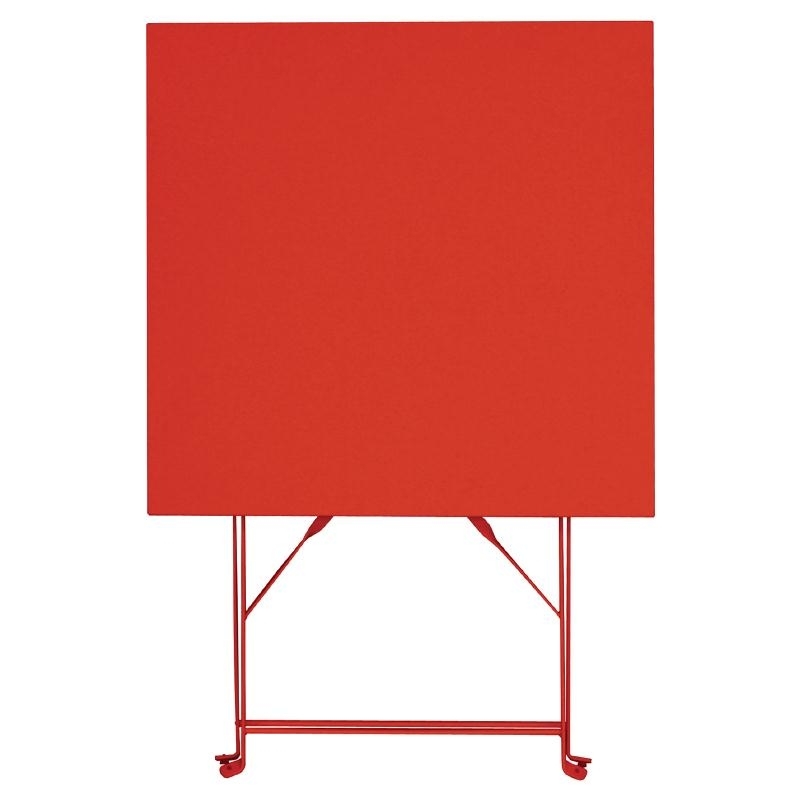 This Bolero steel table Red 600mm square solid top looks great in many different environments. Use these tables indoors or outside. So as the weather changes so can your dining outlet. Ideal for al fresco drinkies or pavement cafe dining.